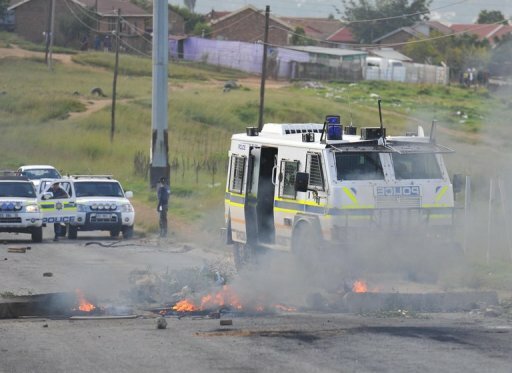 Recently, traffic reports on breakfast radio stations in the Cape region have routinely carried warnings that this or that road has been closed due to service delivery protests. On 25 June one such protest occurred in Botrivier. What aroused suspicions was the fact that “Die Burger” received an SMS notification from James Pheiffer, a local ANC leader, before the protest actually began. The incident raised, once again, questions about ANC involvement in the instigation of service protests; about the permissible limits of opposition politics; and about the constitutional requirements of co-operative government. The Botrivier protest was not the first in the Theewaterskloof area. 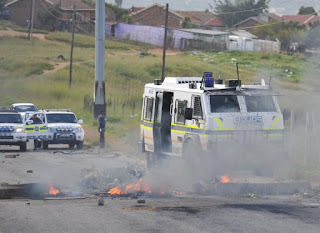 Earlier this year there were similar service delivery protests in Grabouw and Villiersdorp. The trigger in Grabouw was the lack of space for the large number of recent immigrants from the Eastern Cape in the local Umyezo Wama Apile School. The incident culminated in an ugly clash between black and coloured communities and an attack on the predominantly coloured high school, which resulted in two classrooms being gutted by fire. In the wake of the violence the DA’s Western Cape leader, Theuns Botha, claimed that the violence had been planned months in advance by an ANC task team established with the objective of reclaiming power in Western Cape. Botha accused the ANC of attempting to bribe DA councillors and coalition partners to support a motion of no-confidence in the Theewaterskloof Council with a view to forcing by-elections. He added that if these tactics failed “local activists are co-opted to foment violence under the guise of ‘service delivery protests’". According to Botha, affidavits had been filed at the Caledon police station over a month before the violence in Grabouw and Villiersdorp. They attested that ANC leaders had recruited John Michaels, a local ANC affiliate, to facilitate the bribery of DA councillors. The councillors were promised jobs, cash and leadership positions if they supported the proposed no-confidence motion in the Theewaterskloof council. According to the affidavits, Michaels told DA councillors that the ANC would make their wards ungovernable if the no-confidence motion failed. The ANC succeeded in persuading a DA councillor, Cathy Booysen, to defect but failed to obtain sufficient support for the no-confidence motion. According to Botha the subsequent unrest in Grabouw was designed to help Booysen to win back her ward on behalf of the ANC in the by-election which took place on 28 March. However, she lost and the DA retained the ward. The most recent manifestation of the ANC’s campaign to reclaim the Western Cape has been its reaction to the provincial government’s decision to close 27 under-performing, under-populated or under-resourced schools. In a speech on 1 July the ANC‘s Western Cape leader, Marius Fransman, took full advantage of the propaganda opportunities presented by the proposed closure. We should consider the implications of Fransman’s rhetoric. By continually comparing the DA government in the Western Cape with the pre-1994 government, he was actually questioning its legitimacy. By playing the race card he was consciously fanning and exploiting racial animosity; and by threatening to adopt the tactics against the DA government that the ANC and its formations had used against the “kragdadige apartheid government”, he came close to advocating insurrection. He also lent credence to charges that the ANC is actively fomenting unrest and protests against the elected government of the province.